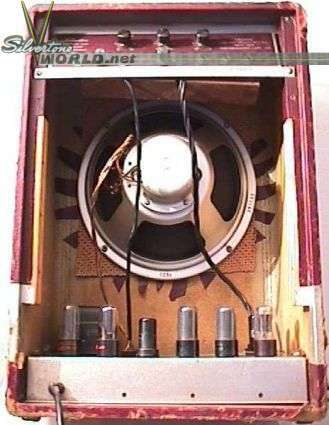 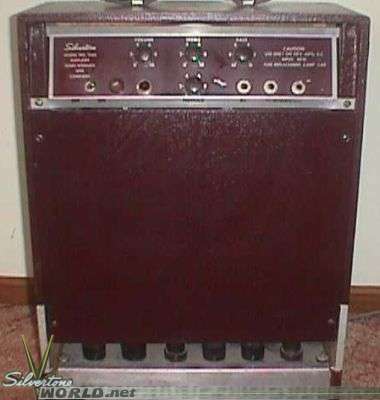 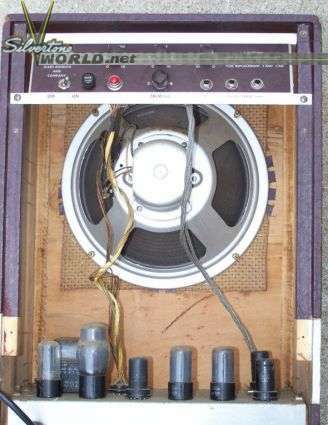 The 1344 amp began its life as the 1304 in 1949. 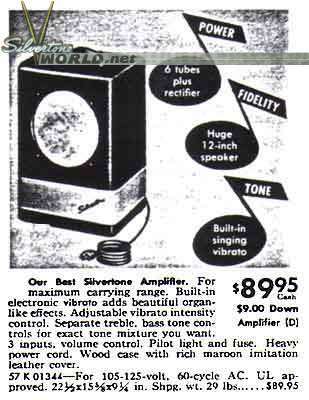 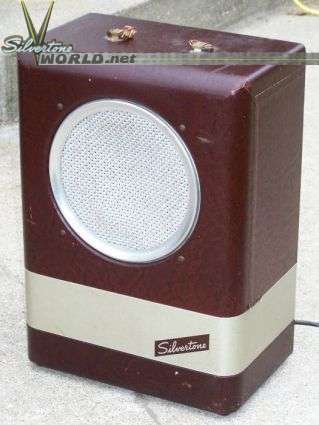 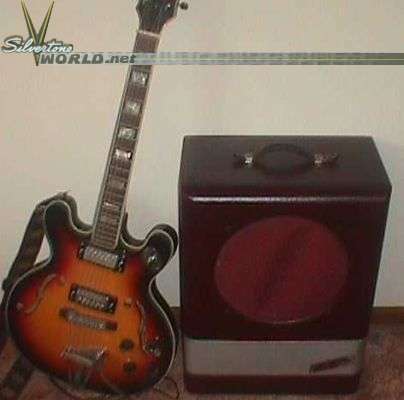 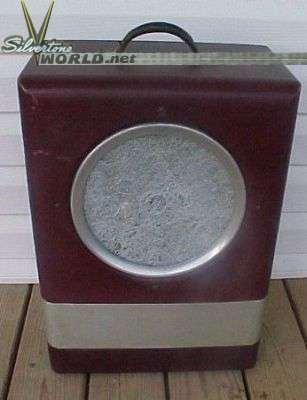 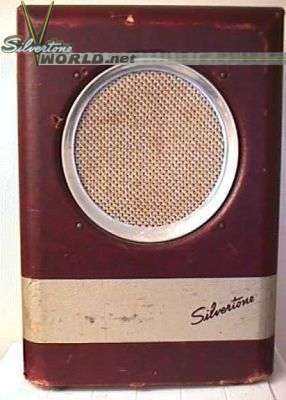 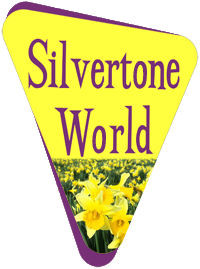 It became the 1344 in the Fall/Winter catalog of 1950, at which time it had the Silvertone logo applied in the decorative silver band around the amp. 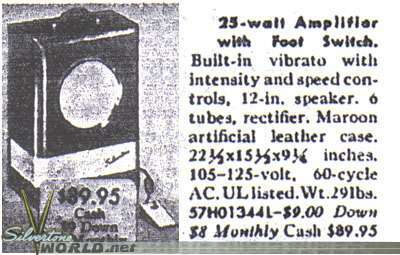 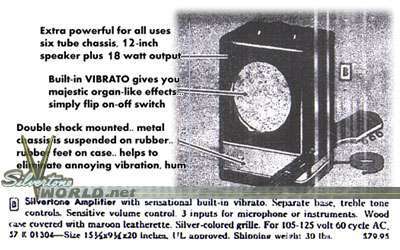 The 'vibrato' listing in the catalog is labeled 'tremolo' on the amps. 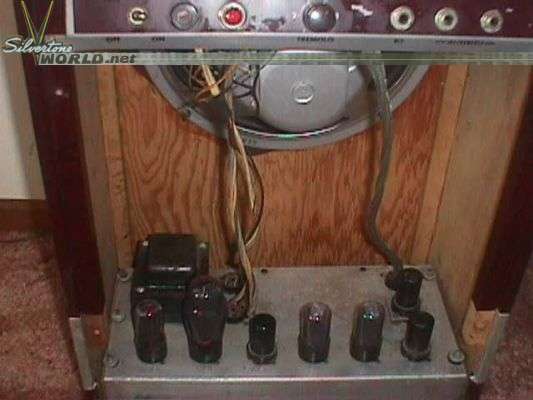 some cabinet roulette occurred during this period; the innards are nearly identical to the 1303, even though the 1303 looks just like a 1300. 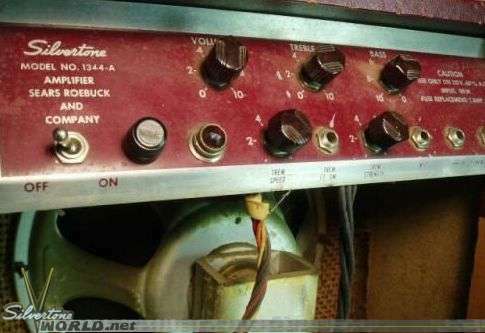 Sears would frequently assign different numbers to the same products over their available lives, and this amp was no different. 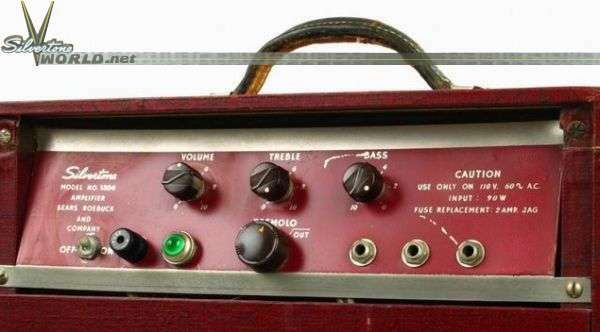 The first listing below is for a 1304, then it became the 1344, then the 1344 with tremolo speed & intensity, presumably the 1344-A.